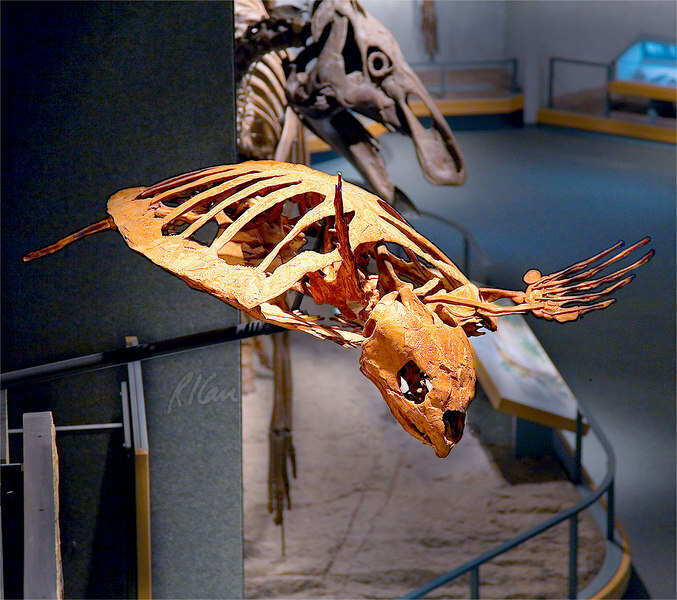 Prehistoric animal skeleton: Sea turtle, protostega gigas, is an ancient relative of today's sea turtles. Late Cretaceous Period, 85 million years ago, found in Niobrara Chalk, Lane County, Kansas. Denver Museum of Nature and Science, Denver, Colorado December 2005.